Deogarh, if you say it with a pirate voice, sounds like it would be the ultimate pirate nemesis. Also, say it like you’re greeting your nemesis. 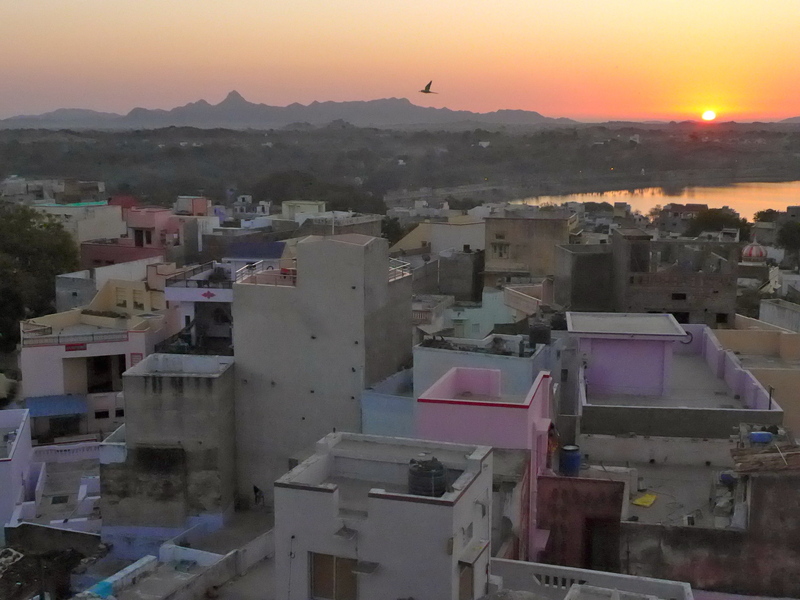 After leaving Jaipur we headed to the land of roses: Pushkar (bet you didn’t know that was the land of roses). Apparently, remember how last time I talked about celebrities being the de facto credibility establish-ers, well Kate Winslet was the celebrity of choice in Pushkar. She gets all her roses from there you know. 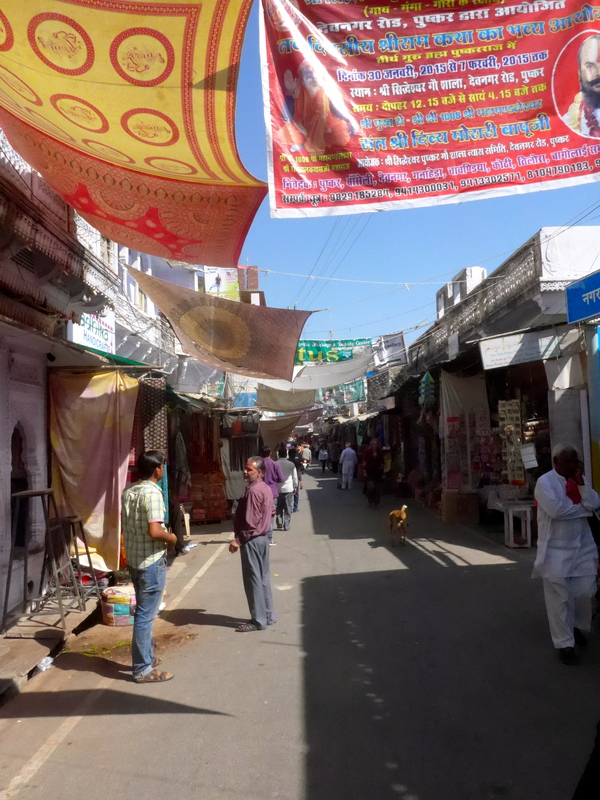 We stopped off at Pushkar for a brief tour on the way from Jaipur to Deogarh. 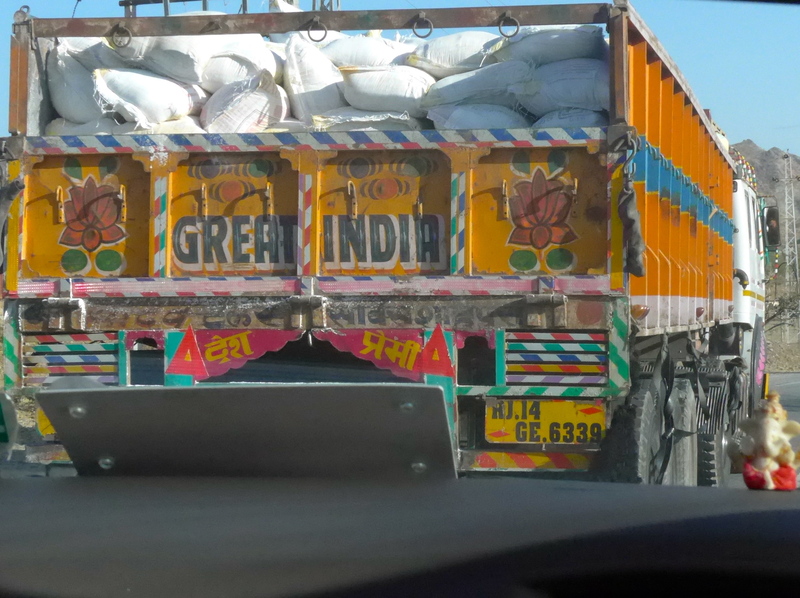 Colorful trucks are standard – and they are awesome. In Pushkar Suraj (our pal and driver) stopped the van and let a guy with flowers in. Oh yeah, that day was Valentine’s Day. I had assumed the guy was a street peddler … but nope!, he was our guide! Sorry, guide. He hopped in and handed Lauren the flowers, saying happy Valentine’s Day and then asking if she liked the flowers. He then said I owed him because now I wouldn’t have to buy her (meaning Lauren) flowers. We both fake laughed. Apparently we fake laughed too much because we repeated this exchange about four more times over the course of the next two or three hours. American women are nice because they are satisfied with just flowers. Indian women want jewelry. (Later, adding to the milk conversation) We don’t need any sort of drugs … The Indian population is over 1 billion people so it’s pretty clear! Lauren’s absolute favorite moment came from, of course, a rose. In describing the amazing power of roses he told us how since we were in a semi-arid region roses might be used in place of lotion, he then rubbed his forehead with a flower petal, they can be used in place of lip balm, he then rubbed his lips with a rose petal, and they can be used if your eyes get dry, he then rubbed one of his eyes with a petal! So. One key detail: this fella had just bought this rose from a street vendor … His demonstration eye was red and gross looking the rest of the time we were with him. Might be time to work on your routine, pal. Oh this little old place? It’s just a palace. 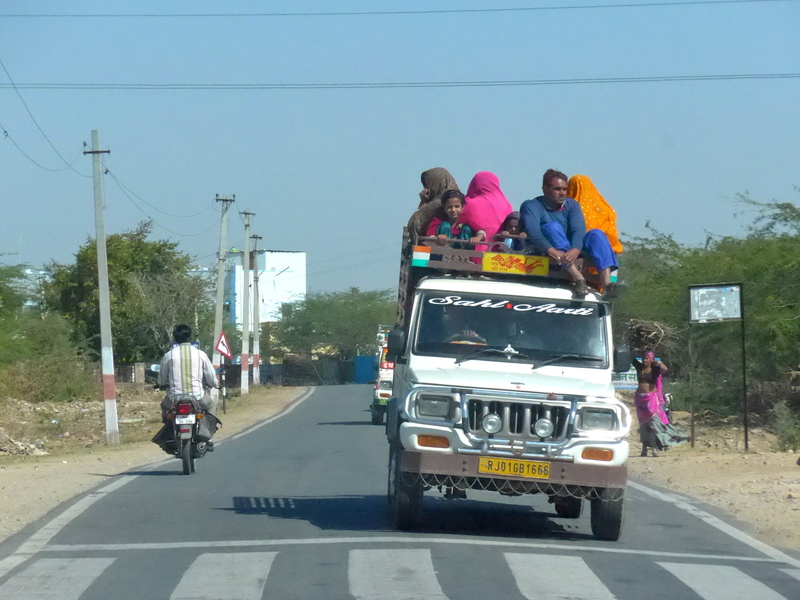 And then we were off to Deogarh! 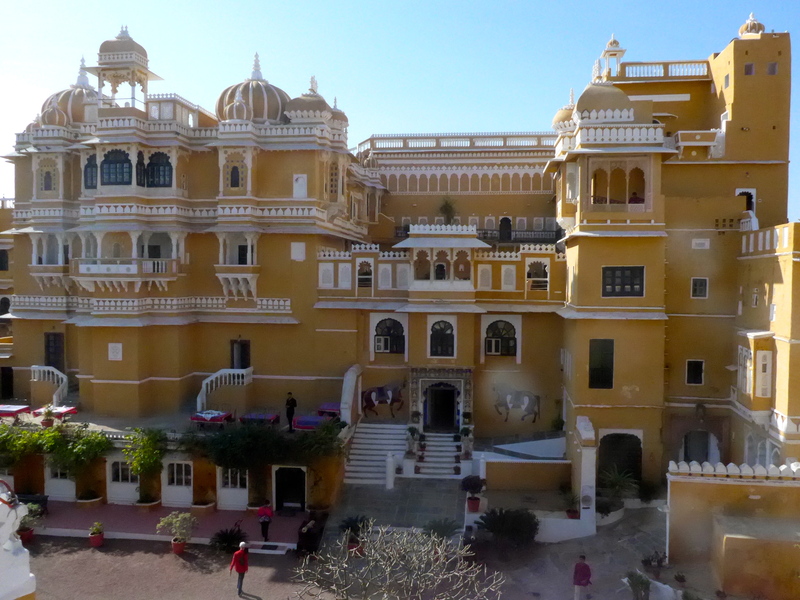 We pulled up to our hotel, which was a legitimate palace! built in 1670, and a guy hopped outside, manned a drum, and beat out a sweet bass introductory song alerting the village that we had arrived. (It was a very small town, so honestly people at the furthest part may very well have heard this.) The clerk told us that at 630 we would be meeting the Maharani and at 7 there would be a performance of a traditional dance from that region. I climbed to the roof, where we wrote emails to family and enjoyed the view. 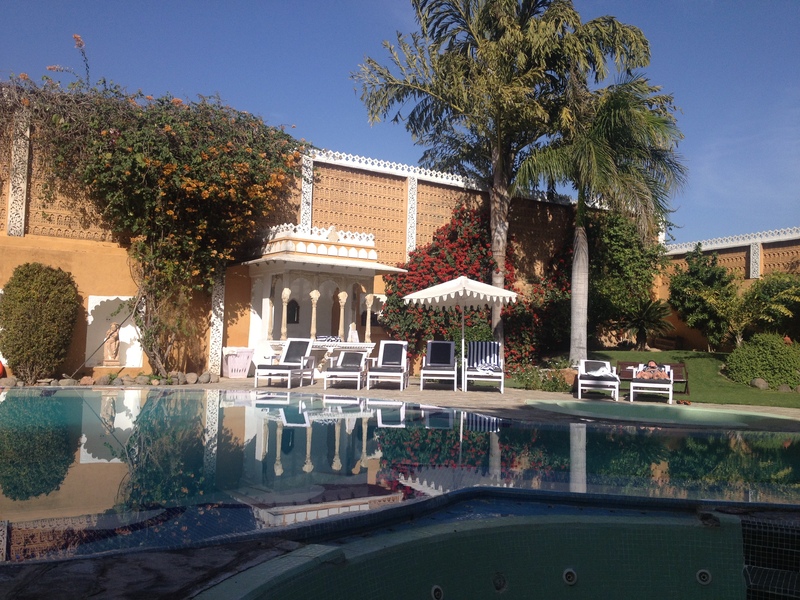 Oh and the pool was nice too! 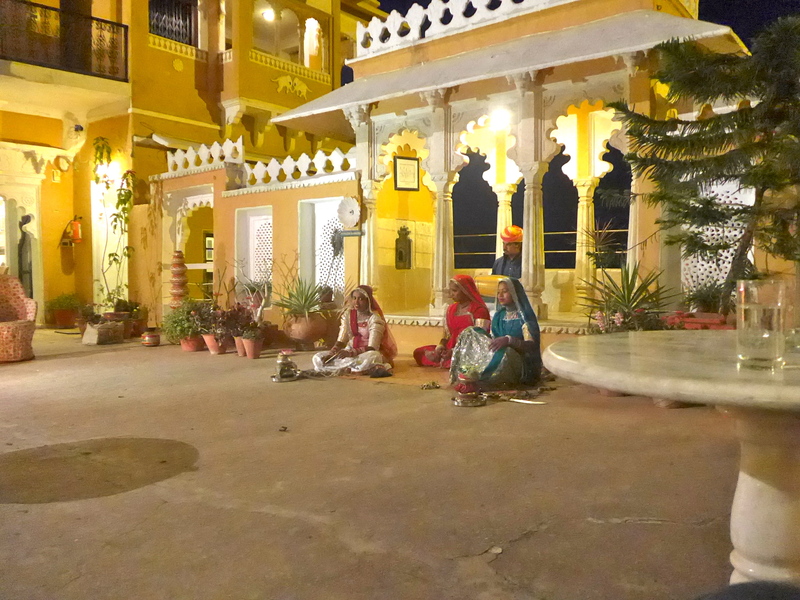 The hour arrived and we headed to a courtyard area to meet with the Maharani. After a few minutes a very well dressed woman came out and joined us. She sat across from us and I felt a vibe of, “ok, impress me, plebeians.” What I really wanted to do was say, “ok, you may have been a baby or born a few years after Indian Independence – what was it like growing up in a world where you’re suddenly free of the British, but stripped of your title?” But instead Lauren and I complimented her on the beautiful palace, the countryside, the country in general, and thanked her for talking with us. I said that I thought men in India dressed in western clothes to make the women even more beautiful with their vibrant, beautiful clothes. She laughed at that (boo yah, just a couple chuckle heads and the queen) and said that she thought it was a shame that so many men wore western clothes – but they buy them second hand for incredibly cheap prices and they are easier to wash than traditional clothes. She also said that she found that English was creeping more and more into Hindi and that is a shame as well. Basically us westerners are the devil. Sorry, lady. I’m kidding, she said all of this in a natural manner, as someone mourning the changing of the times and losing traditional practices. She was, without me being able to point out one particular thing that was very different, the most elegant person I have ever met. Her movements, her way of speaking, her relaxed nature, her conveying without saying a word that she is comfortable and feels a sense of ownership of any situation … it was impressive. The next day Lauren and I did nothing and it was great. She got a mani-pedi at a spa and I got a shoulder and head massage. The same guy did both, and while giving Lauren her mani-pedi he asked if she thought I would enjoy a foot massage too, so he threw that in. The foot massage was awesome – the head massage was frightening. It was like a 10 minute long noogie … except slightly comforting. I climbed to the roof to watch the sunrise. The early wake up was worth it. It was a much needed full day of rest after a very action packed trip. 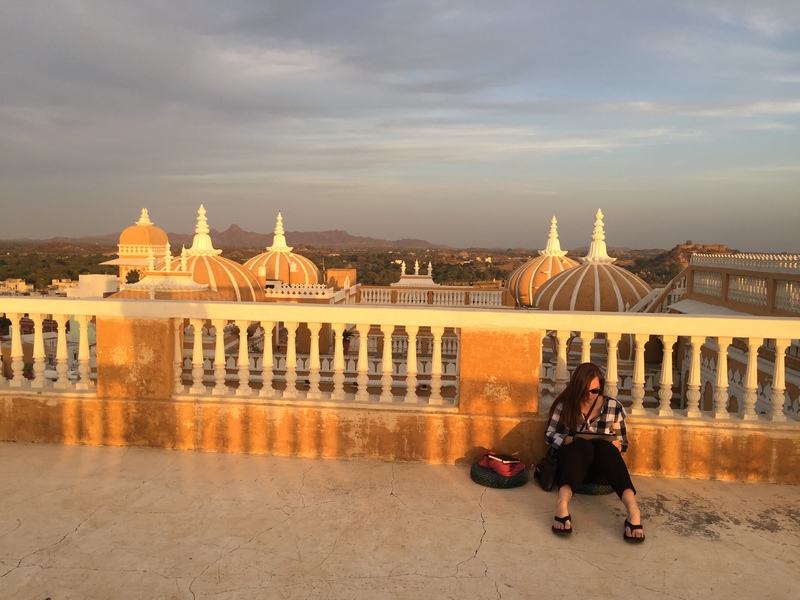 At this point we had Udaipur and Mumbai to go and Lauren and I were both feeling in need of more days of nothingness and guide-free non-thinking.